A first-time buyer can see the process of buying a house as something very simple in which only someone willing to sell and your money is needed so that everything is completed because there is no other type of additional payment, but, there is no worse mistake to believe that everything can be summarized in just that. This despite being a hidden cost is one of the best known. 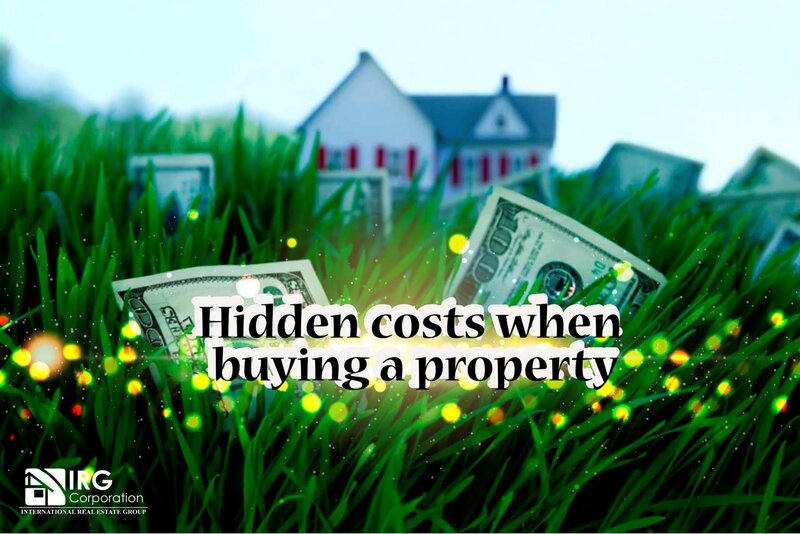 These costs include things like appraisals, credit reports, inspections, taxes for the transfer of property, preparation of documents, commissions which must be paid in the closing process. Whether it is an insurance for the property or an insurance as owner it is important that you consider hiring both to have a contingency capable of protecting you in the event of something happening that is out of your hands. Many times after acquiring a property and going through the whole process to be the owner, you find that certain artifacts or certain points of the house need some maintenance and how expensive it can be depends on the severity of the subject. If you have used any type of loan it is obvious that you must make a monthly payment to be able to pay off that debt, becoming another additional expense to those that may appear. The proper communication of this information is vital to establish how much money you really need to acquire the property you want so much without feeling that you will not be able to pay anything and this is where the professional you have chosen to guide you in the purchase of your house.